With the heavy snowfall and constant moaning about the cold weather, what could be a better cure than LOCO’s London Comedy Film Festival? Now in its second year and expanding from the BFI Southbank, the programme is welcome in its diversity, showing everything from Hollywood fare to European cinema and even an animated autobiography. The starriest film on show is Movie 43, an anthology project brought into being by Peter Farrelly (There’s Something About Mary) and starring the likes of Kate Winslet, Hugh Jackman and Emma Stone. On a smaller scale, you have A Liar’s Autobiography, the animated biography of Monty Python funny man, Graham Chapman, and indie gem Gayby, about a straight single woman who decides to get pregnant the old-fashioned way with her gay best friend. Interestingly, some of the brightest stars of the UK literary scene are also well-represented at the festival. Winner of this year’s LOCO Discovery Award for a British comedy feature that is yet to be picked up by a distributor, Wizard’s Way, about a group of role-playing fans struggling to adapt to real life, is made by authors Chris Killen, Joe Stretch and Socrates Adams-Florou. In addition, Hackney-based author Xiaolu Giu, has adapted her own novel, UFO In Her Eyes, for the big screen, which will also receive its premiere here. This year’s festival has a particular focus on women in comedy, including the UK premiere of London-set coming-of-age story Le Skylab, directed by Julie Delpy. There will also be a Working Women Day, a day-long celebration of women in comedy and including interviews, previews and live performances. 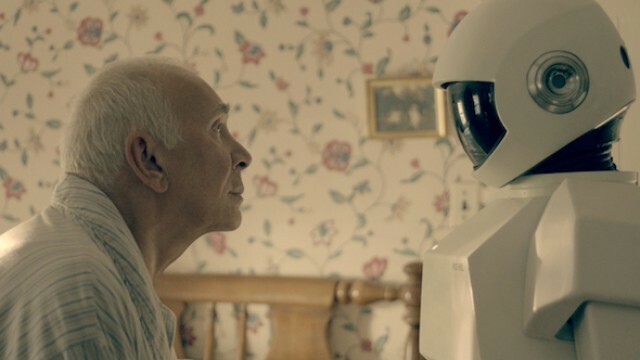 The festival closes with another typically offbeat choice in Robot and Frank, where Frank Langella plays an aging jewel thief with a robot butler. LOCO London 2013 will be taking place at the BFI Southbank, Hackney Picturehouse, The Ritzy and The Lexi Cinema from January 24-27, and you can buy tickets from the official website.